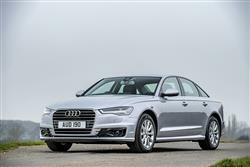 Smarter, lighter, faster and greener, Audi's improved fourth generation A6 offers a beautifully conceived and expertly executed alternative for Executive sector used car buyers considering saloon or estate versions of cars like BMW's 5 Series, Mercedes' E-Class or Jaguar's XF from the 2014 to 2017 period. Unlike these rivals, the car comes either front or four-wheel driven and so delivers a subtly different driving experience. Buyers happy with that and able to afford Audi's asking prices will probably be very happy with everything else, for it's difficult to better this model in terms of refinement, comfort, quality and technology, all delivered along with the kind of ownership and running costs that will play well in the practically-minded fleet market. In short, if you're browsing in this segment, this A6 is, more than ever, a difficult car to ignore. 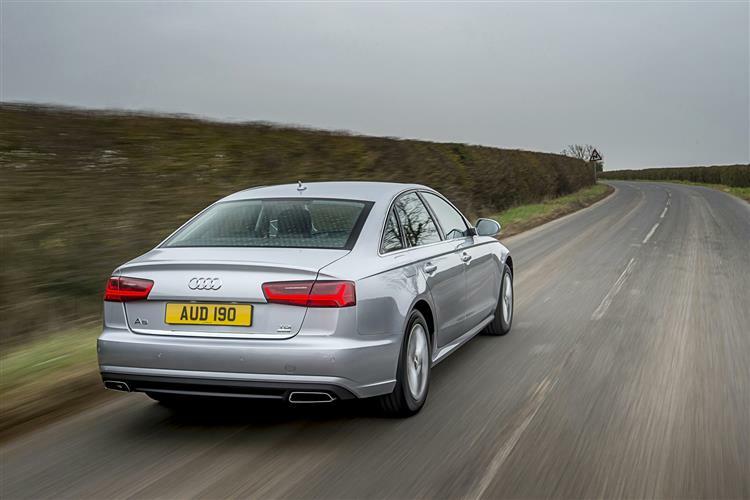 While Audi's A6 has long been the world's best selling Executive car, it's rarely been Britain's overall favourite. In the improved version of this 'C7' fourth generation model, there were fewer reasons than ever for UK buyers not to consider one. This enhanced MK4 A6 was launched in 2014, quieter, lighter, smarter and more technologically advanced than was the original version of this MK4 design, introduced by Audi back in 2011. Of course, you could argue that by the 21st century's second decade, Audi really should have got very good at making this kind of car. The Ingolstadt brand has, after all, been making mid-sized business-orientated saloons and estates since 1968, changing the badgework from 'Audi 100' to 'Audi A6' in 1994 but keeping the same Teutonically clinical approach to wafting middle-aged company folk between far-flung boardrooms. All the while though, the German brand has been refining its approach, first with the second generation 'C5' model in 1997 and then with the more sophisticated 'C6' MK3 design of 2004. 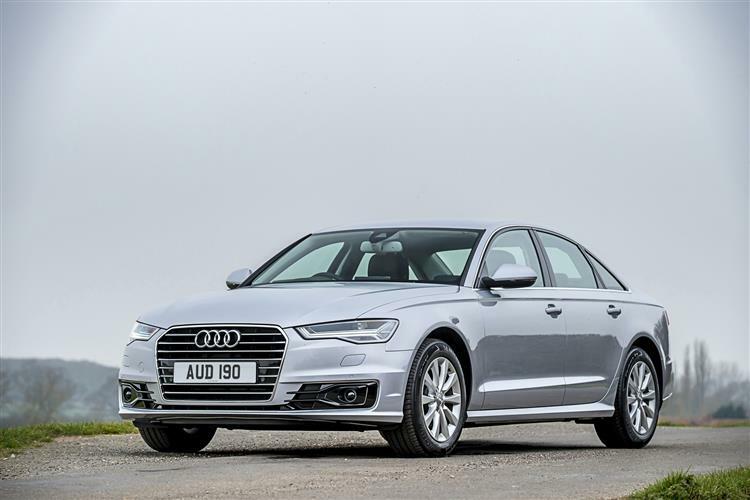 Throughout its life, the 'C7' generation version of this A6 has been a car tasked with heading off the increasing threat posed by close Executive segment rivals like BMW's 5 Series, Jaguar's XF and the Mercedes E-Class. Lighter and cleverer than its predecessors, this model set new standards at its original introduction, but such is the pace of progress in this sector that by 2014, the opposition was matching or better them. Hence the need for this revised version, a model that we're going to evaluate here as a used car buy. 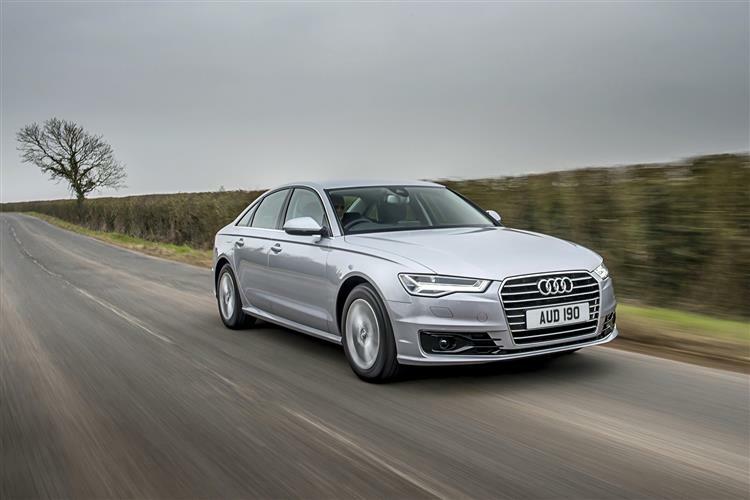 It sold until an all-new fifth generation A6 was launched by the brand in the Spring of 2018. According to Audi's research clinics, A6 customers value understated exterior design above almost everything else - so they should feel right at home with the conservatively evolved looks of this improved fourth generation model. Whether you choose saloon or Avant estate, it's smart, contemporary and as easily-recognisable as its predecessor. In fact, you'd really have to have owned the original version of this design - or be an Audi sales person - to appreciate the subtle changes the brand has made here, all aimed at creating what's supposed to be a more streamlined shape. These mainly centre around a trademark single frame front grille that with this enhanced model looks wider, with six crisper corners and eight chromed struts for extra emphasis. There are revised air inlets in the redesigned bumper. And you get more sophisticated headlights too, Bi-Xenon lamps for the base models and LEDs for plusher variants that original buyers could option-up to include Audi's segment-leading Matrix LED technology, recognisable by its brilliant crystal shine. Here, your lights never need to dip themselves and work with the Navigation system to anticipate the road ahead. As with the original version of this design, the proportions are balanced and athletically taut, sharp lines framing chiselled surfaces below a low roofline that quickly begins sloping back downward. Probably the most notable stylistic flourish is what the designers call a 'Tornado line', a sleek, sporty crease down the side of the car that casts a shadow narrowing from the front towards the back end to give a stretched look. After this facelift, Audi decreed that overly firm suspension shouldn't be a conditional part of upgrading to the sportier S line trim package, so we'd recommend that as the mild body kit and larger 18-inch wheels give this A6 that crucial extra element of driveway presence. At the sculpted rear of the car, the LED lights of this revised model are slimmer than before and from the S line trim level feature sweeping dynamic turn signals. The boot lid is embellished with a chrome strip and there's a smart diffuser insert to house restyled tailpipes whose trapezoidal design underscores the width of the design. Up front, there's the usual luxurious blend of craftsmanship fused with technology in a cabin that, thanks to some judicious upgrades, feels plusher than a 5 Series BMW's of this era, trendier than that of a comparable Mercedes E-class and better built than an equivalent Jaguar XF's. If you owned the original version of this MK4 model, you might notice the redesigned gear lever and the extra chrome detailing on elements like the air vent thumb wheels. There's quite a glassy, airy feel to the interior, with slim C-pillars and effective rear quarter lights aiding over-the-shoulder visibility. As before, the wrap-around dash is fashioned in a wide arch that spans the cabin, encircling the slim, low instrument panel. You view it through a leather-trimmed multi-function steering wheel that reveals large black-faced dials featuring clear, classic graphics and red needles. A Head-up display and a 7-inch TFT colour display in the instrument binnacle were optional. Almost everything else you'll need to know is to be found on an improved version of the excellent MMI control interface that marshals the ancillary controls on an electrically retracting colour display screen that glides out from the dash, helping the A6 do a better job than most rivals of keeping the dreaded button clutter to a minimum. It's 6.0-inches in size on base SE models that include Navigation as standard, but ideally you'd want a car whose original owner upgraded to the improved 'MMI Navigation plus' system with its larger 8.0-inch display. This uses a more powerful Tegra 30 graphics processor and includes MMI Touch, which enables the driver to scroll and zoom in lists and maps via touchpad. A pity you have to do it with your left hand. There's also 'Audi connect' functionality that brings tailored Internet-based services and media streaming apps to the car via the LTE high speed data transmission standard for ultra-fast 4G click-through and download functionality. Other updates that were applied to this improved model included the acoustically-damped front and side windows that account for the impressive standards of refinement. And there was a more effective Deluxe four-zone air conditioning system. Otherwise, things are much as with the original version of this MK4 design, which is no bad thing. The leather-trimmed seats remain superbly supportive, at minimum 10-way adjustable with the optional capability for heating, ventilation and even massage. When this fourth generation design was originally introduced in 2011, the Ingolstadt designers lengthened its wheelbase by 70mm to improve rear seat accommodation and create a cabin that remains exceptionally light and airy in this improved model. There's ample leg and head room for a couple of six-foot adults to stretch out in comfort and, with the broad centre armrest tucked away, even enough room for a third to sit between without having to breathe in first, though that person will have to straddle a fairly hefty transmission tunnel. Out back, the boot is pretty big - curiously in fact, larger than you'd get in Audi's luxury A8 model that sits in the next class up. Raise the wide-opening lid and you'll find 530-litres in all, which is a fraction less than a Jaguar XF but a fraction more than a BMW 5 Series - and quite a lot more than a comparable Mercedes E-Class. Like all of the cars in this class, this one denies its owner the standard fitment of any sort of spare wheel, instead merely providing one of those fiddly tyre inflation kits. 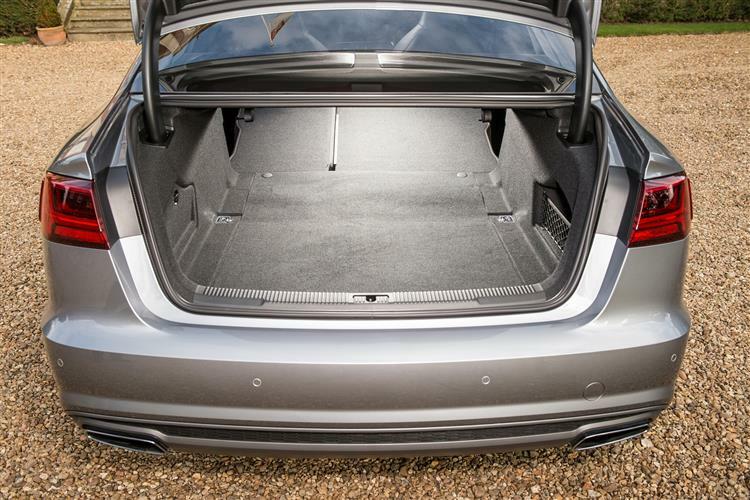 If you need more space, the trunk can be extended to 995-litres by flipping forward the standard split-folding rear seats. All of which may be enough to preclude some from having to consider the greater capacity of the Avant estate version. If not, then in an Avant, once you've raised the standard electric tailgate, you'll find 565-litres of space, which you can make best use of by going for a car whose original owner specified the optional Convenience Pack. This includes a reversible mat, tie-down straps and a load area fixing kit which includes a fixing set for the rail system with a telescopic pole and fastening strap for dividing up the luggage area. As standard, there's also a ski hatch for longer items but if you need more space, then flattening the rear bench frees up 1,680-litres. This A6 generally has a good reputation for build quality and reliability, but there are a few things you'll need to look out for. We've heard reports that the electronic handbrake can sometimes get stuck. The infotainment screen that should power smoothly out of the dash top on start-up can sometimes get stuck too, so check that. Apparently the lock on the fuel filler cap has a history of sometimes breaking, so check that and make sure it opens properly. On a few 3.0 TDI models, you might notice an engine rattle; faulty chain sensors are the cause, an issue solved when Audi introduced new chain sensors for this engine in 2016. If you're looking at a 2014 or 2015-era A6 3.0 TDI and it has the rattle, then this can apparently be solved by the fitment of these revised chain sensors, something your dealer can arrange: ask if it's been done. We came across a few reports of the electronic steering needing software updated. And on the few cars you'll come across fitted with air suspension, the wishbones can apparently occasionally creak, especially over speed humps and potholes. This can, it seems, be fixed by installing wishbones borrowed from an Audi RS5; yes, really. Audi's quattro 4x4 system should prove reliable and the engines have all been used extensively in other Audi models so there should be little cause for concern there. Look out for interior scuffs and alloy wheel scrapes. Otherwise, you shouldn't have much to fear, even from a high mileage example. (approx based on a 2015 A6 2.0 TDI - Ex Vat) An air filter costs in the £14 to £35 bracket and a fuel filter costs in the £16 to £31 bracket. Front brake pads sit in the £24 to £36 bracket for a set but we came across pricier-branded item in the £44 to £131 bracket. Front brake discs sit in the £100 to £152; for a rear pair, you're looking in the £51 to £66 bracket. A brake calliper costs in the £195 to £213 bracket. A Rear shock absorber costs around £87, a timing belt costs in the £18 to £40 bracket. Wiper blades cost in the £17 to £19 bracket. At the wheel of one of these, you'll find yourself wondering just how much more luxurious something larger could really be. Paying another £20,000 for something Audi A8, Jaguar XJ or BMW 7 Series-sized certainly wouldn't buy you anything much quieter - or better built. Brush your brogues against the throttle pedal and there's a subdued rumble from somewhere up ahead that vanishes almost completely as you power underway. That power is being directed through the front wheels, which might sound an obvious thing to say - until you stop and reflect on the fact that the A6 is the only significant player in the Executive segment that isn't rear-driven. Enthusiasts will tell you of the disadvantage that gives the car in comparison to driver-orientated rivals like BMW's 5 Series and Jaguar's XF. But then cars of this sort aren't aimed at enthusiasts but motorway-bound business folk. In any case, Audi counters with two key dynamic attributes its competitors can't match. First, lighter weight - which always helps sharper handling: this car is around 70kgs less bulky than its rivals. And second, the option further up the range of quattro 4WD. Time to talk engines, which in the mainstream line-up are exclusively diesel-powered for this revised MK4 model. 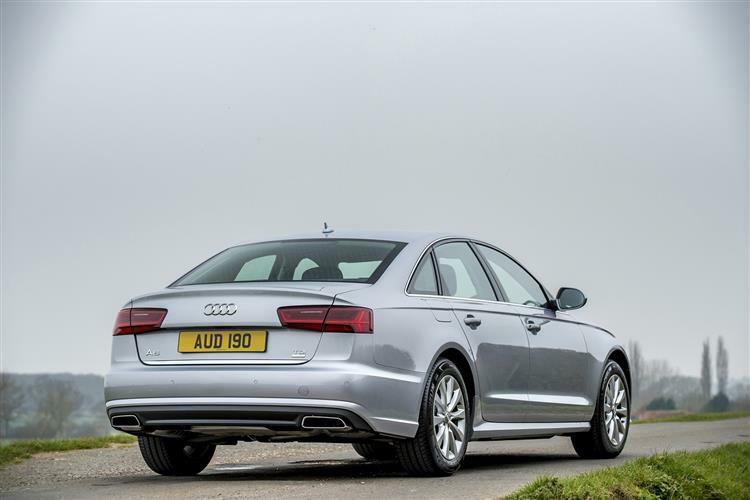 Though Audi did also offer a potent 4.0 TFSI petrol turbo unit, its use was restricted to the top sporting 450PS S6 model and the 560PS RS6. Otherwise, the choice lies between various versions of the familiar 3.0-litre V6 TDI powerplant with or without quattro 4WD. Or the version that you'll most frequently come across, the front-driven 190PS 2.0 TDI, a car capable of a very reasonable turn of speed, 62mph from rest achievable in 8.4s en route to 144mph. 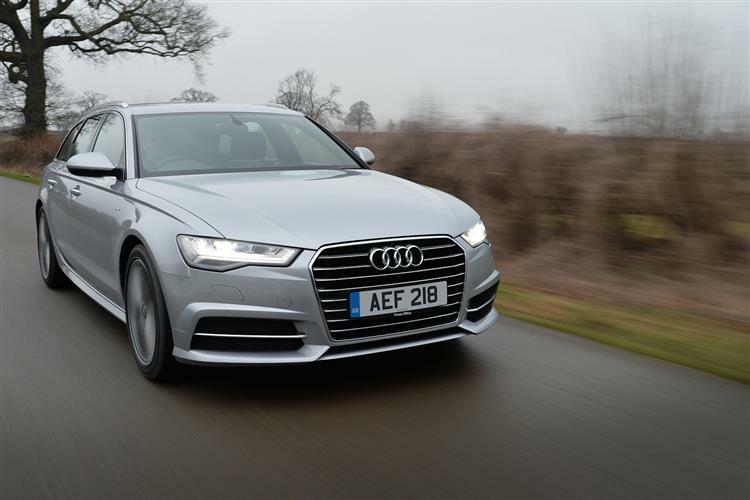 Did Audi do enough with the improved fourth generation version of this car? From new, many loyal buyers thought so. They valued this car for its quiet, understated professionalism, further marvelling in this guise at its mind-boggling technology and rather wonderful cabin. When it comes to efficiency figures, the returns here are top of the class, which in most cases enables this car to offer a small but significant fuel and CO2 advantage over rivals from this era. Enough in fact, to allow some buyers to get themselves the benefits of four wheel drive, a set-up rivals didn't offer in this period, without diverting too far from a reasonable set of running costs. Yes, there are perhaps more characterful cars than this smart, efficient and perfectly mannered business conveyance - perhaps even some that feel sharper at the wheel. But it's hard to think of a more complete or cost-effective choice in this sector. It's all very vorsprung durch tecknik. And at the end of a very long day, you're likely to feel that that's what really matters.